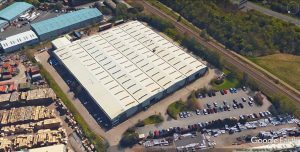 A major warehouse with the space to create up to 300 jobs has been released onto the market in Stoke-on-Trent. Commercial property experts, Mounsey Chartered Surveyors, have been appointed to market a 103,000 sq. ft. industrial/warehouse facility on Oldfields Business Park in Fenton. “Initial marketing has gone well and there has been strong early interest,” said company director Richard Mounsey. Mounsey Surveyors are advising the freeholder of building, which was formerly occupied by air handling equipment manufacturers Moducel. The building is available on a new lease on terms to be agreed.